“Once upon a time” was once the beginning to any good story in Jamaica. Today, stories are much more trendier. It all started with Snapchat's disappearing posts that quickly infiltrated other social media channels. Instagram Stories brought major updates last year with AR filters and interactive stickers. Facebook added stories to personal and business accounts, pages, messenger and groups. WhatsApp and YouTube also invested in story-like features. 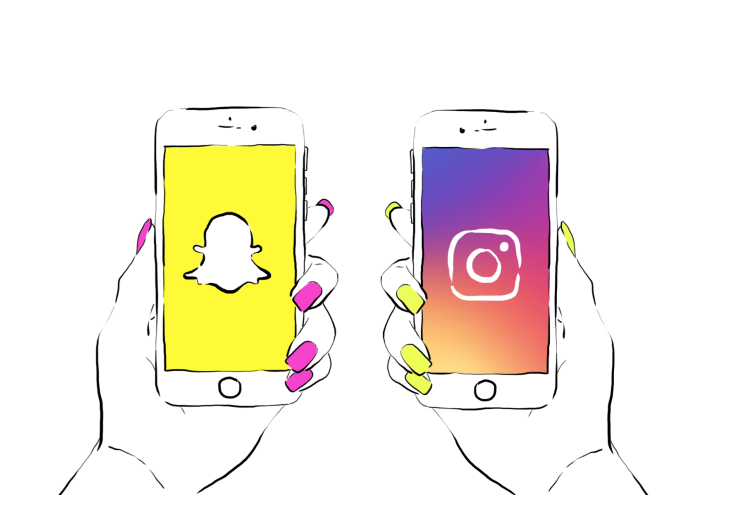 This social media genre is popular in Jamaica, and Instagram Story leads as these snapshots have evolved from basic, behind-the-scenes features to branded storytelling snippets. Jamaicans now turn to stories as a mean to express themselves daily. Look around town and you are likely to see many millennials and Gen Zs with their phones held in front of them while they are just walking. No, they are not video chatting a family member they haven’t seen in a while. They are updating their Instagram story to secure prized views for their posts. At parties, you see more phone screens in the air updating stories than people simply enjoying the party. Even at wakes and funerals you see them taking pictures or recording videos to add to their stories before the event is over. These days, social media is all about documentation. Where you go, what you eat and drink, who you see, what you wear and what’s most memorable. It’s now affordably easy to track friends and strangers’ whereabouts by clicking on their stories. You can record special events like your engagement live, and share with your family members that may be abroad. Or, you can scroll through Instagram and see the many businesses and institutions that have not only chosen to use this genre, but also update their viewers constantly with information through story updates. Why have they joined the story addiction? Publishing content on these platforms have built brand awareness and grown their website traffic. Others are flocking to Instagram to publish fun content that infuses brand voice and personality without taking up too much of the average techie's dwindling attention span. In Jamaica, a multitude of indicators point to a surprising conclusion: Stories are quietly eating our social world, fundamentally changing how we share and consume content on social media. For companies that rely on social media to reach their customers, this creates brand new opportunities- and some real challenges. Stories represent yet another genre/platform requiring attention. It’s added work for businesses already straining to manage content across multiple social channels. The old-fashioned newsfeed on television or radio were not so demanding of our attention and required minimal engagement. But, stories demand a mix of more time-intensive videos, pictures, and graphics. If such businesses want the gains, they will have to find the energy and effort that’s required to keep their content up to date and to stick with this trend. IS THERE STILL SPACE FOR MYSPACE?